The South Dakota Department of Public Safety (DPS) requires all drivers under 18 years old to satisfy each requirement of its graduated driver license (GDL) program. The first step of the process is getting your learner's permit. On this page, you'll find information about how to apply for your South Dakota learner's permit and what you need to do to move on to your restricted minor's permit. Have your parent or guardian complete a Parental Consent Form, if you're younger than 18 years old. Show your Social Security card, a W-2, or a 1099 to prove your Social Security number (SSN). The residency documents of your parent or guardian, if you do not have any of your own. If you use your parents' documents you must provide a signed and notarized Consent for Use of South Dakota Address. Pay the $28 permit fee. The written exam is a requirement in order to get your instruction permit. The test contains questions about rules of the road and safe driving practices. Be sure to read the South Dakota Driver Manual in preparation, and take some time to pass an online practice test. You can take the permit exam 1 time per day. If you fail the written exam, you must wait until the next business day to retake it. You are allowed to fail the test 3 times before you must re-apply for your learner's permit, including paying all required fees again. Is at least 18 years old. Has been licensed for a minimum of 1 year. Is seated directly next to you. Between 10 p.m. and 6 a.m., you can only drive if your parent or guardian is supervising in the seat next to you. One way to learn how to become a safe driver is by taking a South Dakota driver’s education course. Hold your instruction permit for 180 days. 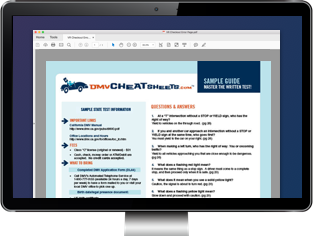 Take a driving test before being eligible for your restricted minor's permit. Only need to hold your instruction permit for 90 days before you can obtain a restricted minor's permit. You receive a score of at least 80% in your Driver's Ed course. You completed your course no more than 1 year ago. NOT been convicted of any traffic violations within the past 6 months. Bring your parent or guardian, if you're less than 18 years old. Show your Social Security card, a W-2, or a 1099. Your parent or guardian's proof of residency, if you have none. If you use your parents' documents you must provide a signed and notarized Consent for Use of South Dakota Address. Pass the driving test OR submit a signed certificate of completion for an approved Driver's Ed course showing you scored at least 80% (must be no more than 1 year old). Your SD restricted minor's permit will be valid for 5 years, and is free to upgrade from your instruction permit. The next of the GDL process is to obtain your full operator's license. Please visit our	Applying for a New License (Teen Drivers) in South Dakota page for more information.